Good things are so close by! In the direct vicinity of the Nürburgring there are beautiful paths. This beginner tour follows them. 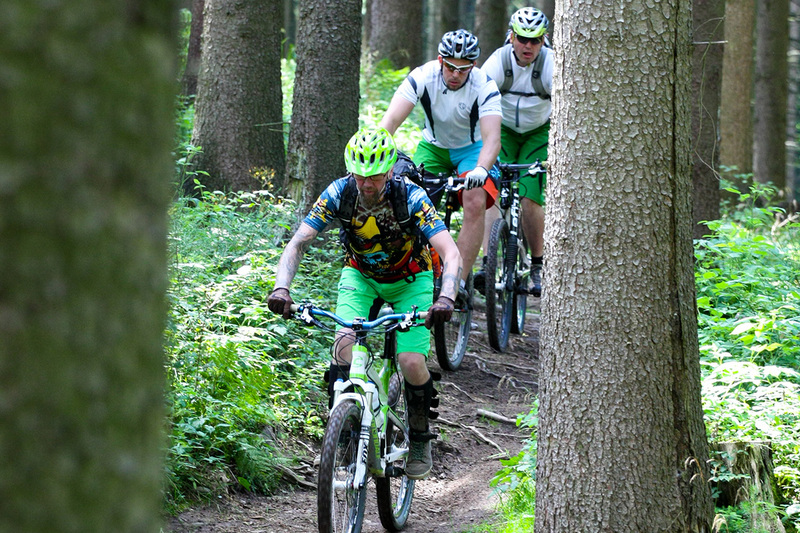 It is a service of MTB XPert for all Rad am Ring visitors. Participation is free of charge. Start is on Saturday at 1:30 p.m. and on Sunday at 11 a.m. The approximately 14 kilometers lead past the Fahrsicherheitszentrum (Driving Safety Centre) into the lowlands of the Eifel somewhere between Nürburgring, Wiesemscheid and Kottenborn. 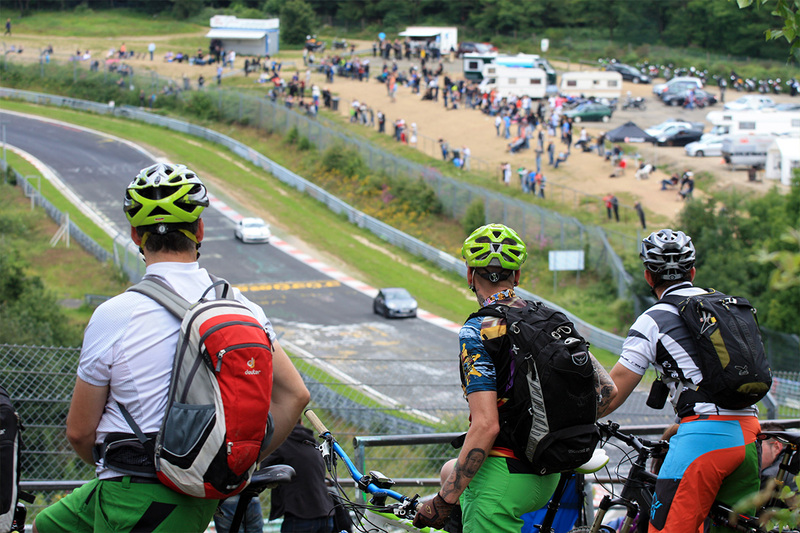 After a steep ascent you come to the “Fuchsröhre” section of the Nordschleife. A good place for a short break with a view of the race track: a small highlight in every respect, which rounds off this short experience before it goes back to the Expo area. This tour is absolutely exclusive within the program of Rad am Ring. 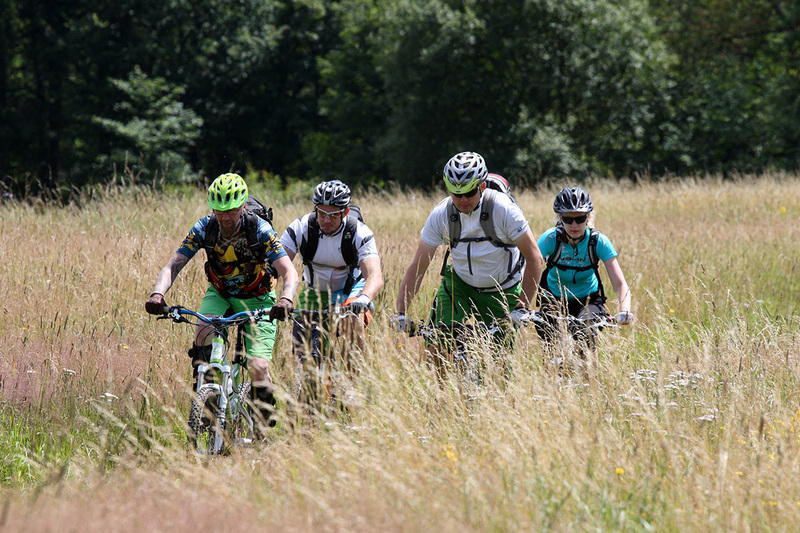 We ride around 26 kilometers along the legendary Nürburgring-Nordschleife and also follow in the footsteps of the MTB-Marathon, which will take place on Saturday morning. But don’t worry, we can easily avoid the difficult riding passages, so that the tour will be easy to moderate overall. The tour usually runs along the Nordschleife and regularly offers fascinating views of the “grand lady” of all race tracks and over the hilly Eifel landscape. 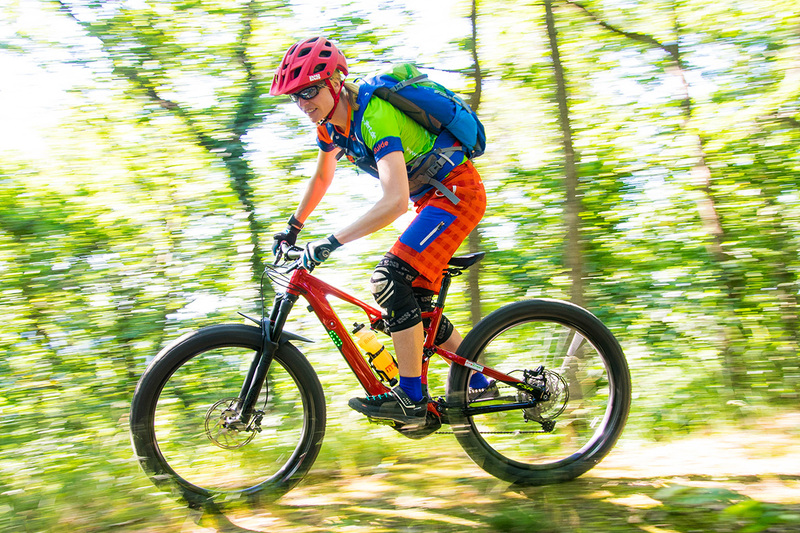 Varied descents and mountain passages on gravel alternate. While Rad am Ring participants will race for PBs on the Nürburgring on that weekend, the XPert guides will cruise in a relaxed way with you at individual pace and in an enjoyable manner along the well-known sections: downhill along “Hatzenbach”, “Fuchsröhre”, “Wehrseifen” and then uphill again towards “Hohe Acht”. The guides do not only have some fun rides and sporting challenges in their program, but also know a lot of anecdotes from the long history of the Nürburgring-Nordschleife.